posted on Thursday, May 24, 2018. Water safety is important for anyone who lives in or visits Racine County and uses one of our beautiful Lake Michigan beaches or inland bodies of water. 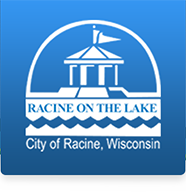 As part of a countywide collaborative to review and prevent drowning deaths within Racine County and the City of Racine, an informative presentation has been created. Click the link above to learn how to be safe when swimming or playing near water, including information about rip currents, drowning prevention, and features found in and along Lake Michigan. Click here to learn more about other water safety and quality initiatives from the Public Health Department's Laboratory Division.